We’ve discussed the constant search for the best snow blower many times before but we like to renew our list with every season. To be honest, snow blowers don’t change much from year to year. When a manufacturer creates solid snow blower that consumers love, they don’t mess with it much; occasionally they refine it. They certainly don’t discontinue it. My point here is that many of the best snow blowers we’ve discussed in past articles are still relevant for this season for one simple reason — they are excellent machines, and have proven themselves to be dependable over time. I’m happy to say that there are also some new models for you to consider. Ultimately, the best snow blower depends on your specific needs (where you live) and your budget. We aim to give you some models that are worth your hard-earned money. 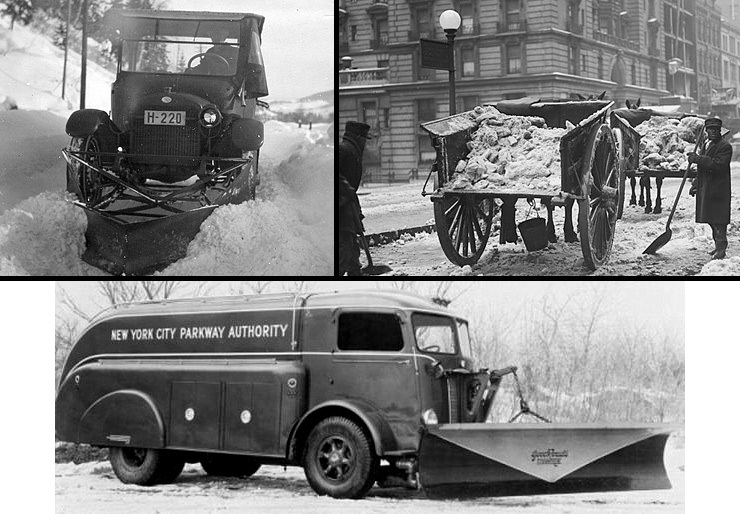 Snow blowers have come a long way over the past few decades — thankfully. Note: If you’re impatient and simply want to see our recommended snow blowers, scroll to the half-way point of the article. Although, we think it’s worth reading this article before deciding which model to buy. We have made this comprehensive snow thrower buying guide to help you make a smart buying decision. Snowstorms and blizzards are relatively common natural occurrences in most of the Northern Hemisphere. Every winter, the average snow accumulation ranges between a few couple inches in some cities, to a record-breaking 94 inches recorded in Rochester, State of New York. More often than not, accumulated snow is nothing but a minor nuisance, but in some cases, it can cause substantial damage to your properties and vehicles, as well as represent a safety hazard for you and your family. Complicated problems tend to have easy solutions, and snow clearing is no exception to the rule. However, there are several ways to do this task, and it’s our job to pinpoint the single most efficient way to do it. In this case, we suggest you keep your shovels for simple gardening during the spring and seriously start to consider getting yourself a snow blower. This has heated handles which will keep you comfortable when it’s cold outside. As you keep on reading, we want to make sure you feel like this is the ultimate snow blower buying guide. As such, we’ll be covering extensively and comprehensively, all the most relevant topics in a very detailed, yet easy to understand, style. To kick it off, we’ll be talking a little bit about the history and evolution of snow throwers, how they first came into the market, their pioneer inventors, mechanical builds, conceptual designs, and most importantly, operating methods. Then, we’ll be covering some of the most relevant uses and applications. Here, we want you to evaluate if you really need to buy one and why – after all, each and every one of your purchases should serve their primary purpose. Much like all other power tools, snow blowers come in a wide variety of options. From a mechanical point of view, we will discuss the primary differences between a Single-Stage Snow Blower when compared with Two-Stage and Three-Stage models. Additionally, these snow throwers come as plugins for automotive vehicles such as trucks and tractors, so we will talk about them as well, and compare them to the conventional, stand-alone builds. As the name implies, power tools make use of some sort of mechanical effort to generate energy, resulting in work. Snow blowers are available from two primary sources – gasoline and electricity. The second group divides into corded-electric models and battery-powered throwers. In total, we have three different power builds and each one has their unique set of pros and cons, but after you’re done reading this section, you will know exactly which type of snow thrower will best suit your needs. Make sure you invest in a snow blower before this happens to you. As we wrap up our buying guide, there is one highly important topic to discuss – sizing. After deciding which type of build you want to get, you need to know how big of a snow blower you actually need. So, we will do precisely that, with a couple of practical scenarios. There is also the pricing factor. Maybe the exact snow thrower you want is not within the budget, but you could settle for another product as long as it gets the job done. We will also cover everything you need to know about general maintenance, tips, and tricks for a better user experience, accessories, and safety measures. Finally, the most significant segment of our guide, product reviews, with full comparisons. Here, we will make a thorough analysis of everything we’ve learned during this handbook, as we break down all the essential features and details about some of the most wanted snow blowers among consumers, both homeowners and professionals alike, from the most respected brands on the market. Unlike most of our beloved power tools, snow blowers did not originate in the United States. Instead, we need to credit our Canadian neighbors for this one. After a couple of not-so-efficient patents by other inventors, Arthur Sicard built his first prototype for a practical snow blower, in 1925, mostly based on the concept of grain-threshers. He went on to found Sicard Industries and just two years later, his invention was being used to remove snow from the roadways of Montreal. Be thankful to live in the age of technology. Highly efficient but only available to the richest bidders, snow throwers were still far away from becoming a commodity. However, this all changed in 1952, when Toro became the pioneering company to offer all homeowners the possibility to clean out the snow from their yards and sidewalks with their walk-behind Snow Hound. From an enormous and inefficient locomotive attachment at the front of a train to a portable and light power tool capable of clearing out even the largest snow piles. In the short span of a little over a century, the technological advances along with our evolutionary drive have given us the ability to drop the shovels and face even the toughest snowstorms and blizzards with confidence. The Starks were right, after all, Winter Is Coming. Except, this time, we are more than ready for it. There is a little more to consider about snow blowers than the mere fact that they remove snow. How much snow can they handle? Under which type of surfaces can they operate? What other forms of snow removal are available for me? And most importantly, do I really have to buy one? Before we go any further down this buying guide, we want to answer all these questions with as much fairness as we possibly can. So let’s get started. Snow blowers come in a wide variety of sizes and mechanical structures, but they all serve the same purpose, in a relative way. Depending on the particular product, a snow thrower could deal anywhere between a few inches of slush up to roughly twenty inches of even the hardest snowfall. There is usually two types of surfaces recommended to work with snow blowers – asphalt and gravel. Although it’s possible to use a snow thrower on dirt or grass surfaces, it’s not recommended since there are several foreign particulates which could damage the internal structure of the machine. There are several other alternatives to remove snow from your sidewalks, yards, and driveways – and no, they do not include using salt. Rock salt can effectively melt snow, but it can also be harmful to the environment and to your properties in the long run. If thrown on the grass, the excess salt will prevent your plants and trees to absorb the necessary nutrients from the soil, which will make them decay and slowly wither away. Clear a snow path 30″wide and 21″ deep path in one pass. Salt leaches heavy metals, and ultimately, they could make their way into our residential water supplies and become a safety issue. Some animals are attracted by the salty smell, and they can be hurt and injured by moving cars because of it. When combined with ice and snow, salt changes its chemical composition, and it can damage our skin and harm our pets. With that being said, we shouldn’t consider using rock salt as an efficient snow removal method. Instead, we could try Calcium Chloride when dealing with paved sidewalks and driveways – but never on grass. If you’re designing or remodeling your house, you could install one of those Snow Melt Mats. Basically, they are electric wires which run under the pavement to radiate heat upwards, melting the snow — consider this if you live in an area with relatively low average snow accumulations. Other methods include nitrogen-based urea products (which are not that eco-friendly), piling up sand or grains for a better grip (note that this is not a snow removal methods, rather, an alternative to deal with it), and of course, shoveling – potentially harmful to your overall health and life quality. A snow blower pays itself off much more rapidly than any other kind of power tools. Whether you only need to deal with a few inches every winter, or if you consistently need to clean out your properties blizzard after blizzard, you will find that a buying a snow thrower is a worthy short-term investment. They are much more efficient and provide a much gentler user experience than any other option available on the market. 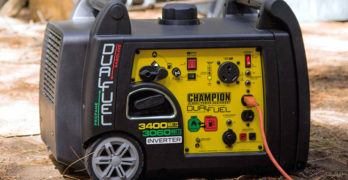 When discussing tools by their power source, it always comes down to gasoline and electricity. Even though all of them present a somewhat similar pros-and-cons set, there are a few particularities when talking about snow blowers, due to their unique structure and functioning. For example, gasoline-powered engines are a relatively regular commodity today, with very high standards of performance and efficiency. What this means is that regardless which product you end up buying, it will most likely have the same patterns. One of the most common downsides about gas motors does not apply to snow blowers, which is the inability to use them indoors. Unlike other power tools like chainsaws and portable generators, snow blowers are designed for an outdoor use exclusively. While it’s true that the first engines were high on their carbon emissions, there’s been an ample development on more fuel-efficient and eco-friendly motors over the past few years. Additionally, these newer engines are also much quieter than their predecessors. Some of them are even below the 85dB threshold, which is the lower limit established by the United States Occupational Safety and Health Administration, also known as OSHA, to require the use of hearing personal protective equipment. Just remember, as small as it might be, there will always be a carbon emission with gasoline engines. Before you consider getting one, check with your local offices and regulations, just to make sure you’re in compliance with all norms – after all, there is nothing worse than buying a product which you can’t use. Electrically-powered snow blowers come in two versions, as well – corded-electric and battery-powered. Conventionally, an electric engine offers less power than a gasoline one, since there is no combustion to generate an optimal torque. However, electric models are still ideal for a wide variety of scenarios. First, let’s talk about corded-electric snow blowers. They have a couple of big pros to discuss. Every power source has their own advantages and disadvantages. For starters, they have the advantage of continuous usage since they’re always connected to the main grid, something neither gasoline engines nor battery-powered models can say. Secondly, they have no carbon emissions which makes them more friendly to the environment, and much quieter as well. The only considerable downside to them is the fact that you will be limited, in distance, to operate them. Extension cords for most power tools only come as long as 100-feet, and some of them might not have the necessary coatings to function properly under freezing conditions. Battery-powered snow throwers are arguably the most versatile choice from the three. They offer the same mobility as gasoline-powered builds with the same lightness and quietness as all corded blowers. Depending on the amperage, a full battery can get you going anywhere from half-an-hour to a couple of hours. Additionally, most companies have the same battery build for all their power tools, which is a nice feature that enables you to swap batteries between them, as long as they are from the same series. When talking about power, though, these products are not the most sturdy, but they can still make a great addition to your inventory if you live in a place where you don’t have to deal with significant snowfalls during the winter. Battery-powered snow blowers will always be in compliance with local regulations since they don’t emit any carbon byproducts, and because they are well below the noise threshold for urban and suburban areas. All of the products which we mentioned before fall under the walk-behind category. They are a stand-alone build and do not need to be attached to anything to start running. However, there is another not-so-popular build we also want to mention. More commonly found in farms and larger extension of lands, there is the tractor-mounted snow thrower. Since their applications are quite unique, most people are quick to refer to them as inefficient or out-of-date, but under the right circumstances, they can clean out the snow like no walk-behind model would. First of all, since they’re attachments to an automotive torque, it really all comes down to the tractor. The transmission on most small and light-duty tractors are designed for cutting grass or maybe small branches, due to their zero-turn-radius feature. Snow is naturally denser than grass, so it could potentially shorten your tractor’s lifespan unless it’s specifically designed to resist these sturdy tasks. You should also consider that a tractor-mounted attachment is usually more expensive than a walk-behind blower, they tend to be more powerful, but also less versatile. Also, remember that these accessories are meant to be attached to the tractor at all times, so if you need to clean snow out of tight spaces, it might not be the best suit. While we’re talking about space, there is the topic of storage and setup. Since they’re larger than conventional blowers, storing them can be tricky if you don’t have a shed or a larger warehouse. Installing the attachment requires the complete removal of the tractor’s front deck, which means that when you’re using the tractor with the blower attached, you have to focus on using it for that single purpose only, it renders it to a mono-task limited force. Then again, if you have vast areas of snow to remove out in the open, there is no better choice than a tractor-mounted snowblower. Click image to view large detailed view. Before we compare each model, let’s define what “stage” means in this context. Each stage represents the number of times in which the snow and ice are scooped from the surface and thrown out in the open. A single-stage blower does this task once, a three-stage model does it three times. Single-stage snow throwers can be both electric and gas-powered. Two and three-stage blowers can only be fueled by gasoline engines. The build you choose will be strongly linked to the actual sizing of your snow blower since they have a direct relation to the amount of snowfall they can handle, the overall throwing distance, and the speed at which they will do it. Single-stage corded snow blowers are the lightest and most portable of them all. They are ideal for cleaning out light to fluffy snow from tight sidewalks and driveways. Like all corded snow throwers, they are free of maintenance, since they don’t require fuel or oil to start running. These machines can deal with up to twelve inches of snowfall on a leveled and paved surface. They have a cleaning width of up to 21 inches, and can throw the snow up to a distance of 30 feet. The only requirement is to buy an extension cord suited for cold outdoor environments. Gasoline-powered single-stage blowers are relatively similar to the corded versions, but slightly more powerful. They can deal with snowfalls up to thirteen inches in height and up to 22 inches in width. Like all single-stage models, the auger that scoops the snow is in contact with the surface at all times – which is why you can’t use it on gravel. The final throwing distance is a bit more powerful, up to thirty-five feet away. Two and three-stage gas-powered blowers are, by far, the strongest products in the market. In these builds, the auger is never in direct contact with the surface, so in addition to paved surfaces, you can also work on gravel. They can also handle much larger extensions of snow, at approximately 24 inches in height and over 40 inches in width, with an impressive throwing distance of roughly fifty feet! Example of a 3-stage snow blower. The only significant difference between these two models is the velocity at which the snow is thrown out from start to finish. They can handle the same amount of snow in the exact same way, but a three-stage snow blower will do it much more rapidly, making it ideal for vast extensions of land. Additionally, both the two-stage and the three-stage models can work on uneven and irregular terrains, something which the single-stage build can’t. As we talked in the segment above, your sizing information is strongly linked to the type of build you are going to need. However, it really all comes down to three factors – the average snow accumulation you’re going to encounter throughout the winter, the field size you are going to be working on, and the type of terrain. Unless you reside in an area where a winter storm could potentially bring a couple dozen inches of snowfall overnight – unlikely, but possible – then you might be better off setting up a daily routine of snow removal with a small, single-stage snow thrower. It could be corded or gas-powered since it’s more a matter of personal style (and local compliances) than anything else. However, if you live in an active blizzard area (or if you’re not up to using your snow blower on a daily basis) then what you need is a two-stage model. They also have the advantage that they are far more versatile than a single-stage blower. They can work on uneven surfaces, and they tolerate higher snowfall loads per run. Additionally, these blowers are the only ones that could work on dirt and grass – so you could clean your yard without risking any substantial damage to the structure. Simply put, the more snow you want to remove, the larger the auger you are going to need. Finally, consider getting a three-stage snow blower if you have precious little time to lose since these machines are the fastest and most efficient products in the market. The different snow blowers MSRPs (Manufacturer’s Suggested Retail Price) are more strongly linked to their power source and their number of stages, than to any other factor – branding included. In this segment, we won’t yet cover any specific products. Instead, we’ll be making a short comparison among the different builds to establish a reliable price range. This way, you’ll have a fair enough idea on how much you can expect to invest for your next snow blower. For starters, and arguably the most economical choice in the market, we have the corded-electric snow blowers. 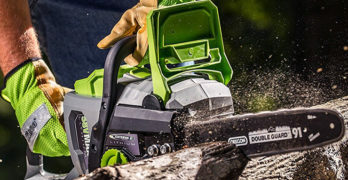 You can get one of these power tools for as low as one hundred dollars, while models with a slightly bigger engine will cost somewhere around the $200-$300 price range, but not more than that. Next, we have a more versatile choice. Single-stage snow throwers start at roughly a couple hundred dollars – although these models come with the smallest engines. For a more powerful punch, you can expect these blowers to stand anywhere in the $300-$700 neighborhood. Before we jump into the more powerful choices, let’s discuss the battery-powered snow blowers. They tend to cost almost the same as a single-stage, gasoline-powered build, depending on factors such as battery life and overall performance. The most inexpensive models start at $150, while a powerful 2-stage 80V battery snow blower can be considerably more expensive. You get what you pay for. You can find the smallest two-stage, gasoline-powered snow blowers starting at a $300-$400 price range, but since the two-stage build allows for a more powerful performance, the price cap also goes higher. For example, a 32-inch snow thrower featuring an electric joystick and several other handy traits can cost as much as $3,000. Finally, three-stage, gasoline-powered models are not easily found in the market, which is why there are fewer options to compare. You can expect these power tools to cost more than one thousand dollars, usually in the $1,000-$2,000 price range, although it’s entirely possible to find more powerful – and more expensive – products, as well. A typical snow blower is designed to last way over ten years – provided that you take some time to do the necessary maintenance duties, that is. In most cases, taking care of your snow thrower is an easy enough assignment, but it’s important always to follow a maintenance checklist every now and then, just to be sure everything is running smoothly. We compiled a series of ten small tasks to help you care for these tools to make them last a lifetime. Oil Check & Replacement: Nothing fancy here; oil checks and changes are required for four-stroke, gasoline-powered engines. Check your oil every eight hours of use and change it entirely after roughly 50 hours, or once every winter – whichever one comes first. Fresh oil is golden (or amber) and dense, while bad oil darkens and becomes more liquid. Fuel Filters: Filters fall into the category of instantly replaceable pieces. Since it’s tough to assess if they’re clogged or present minor fractures, and also because they’re relatively cheap, you should never consider repairing your fuel filters. Check your owner’s manual to find out the recommended replacement frequency. Degreasing: Over time, it’s only natural for small amounts of oil to spatter over the machine. By using a degreaser over these areas, you will not only keep the snow blower clean and shiny, but you will also prevent unnecessary rusting and inopportune malfunctions. Adding Fuel Stabilizers: This additive keeps your fuel running fresh for longer, which also prevents cloggings in the fuel carburetor, and enhances its overall lifespan. Fuel Cap Check: Usually, these caps have small holes to ventilate the fuel tank. Over time and with use, these holes can get blocked by fuel buildups, debris, and other foreign particulates. Fuel caps are cheap to replace, so don’t even try to repair them. Tires Check: Much like you would do with any other wheeled power tool, regularly check your tires with a pressure gauge. Lubricating Bearings: All moving parts need to be lubricated, think of them as the machine’s joints – including auger bearings, wheel bearings, and impeller bearings. There are particular kinds of grease based on lithium to lubricate these parts. Spark Plug Replacement: Plugs are not expensive, so even when they appear to be working fine, consider a full replacement before every winter. Carbon buildups and weak electrodes will reduce the engine’s performance and increase the engine’s fuel consumption. 10. Auger Check: Especially for single-stage models where the auger is in contact with the surface. If they are so worn off that they no longer touch the ground, replace them ASAP before any substantial damage gets to the metal parts of the blower. Although snow blowers are relatively safe power tools to operate, you should still handle them with caution. Follow these eight simple steps to protect yourself, those around you, and ultimately, your snow thrower. Do not use loose clothing when standing behind a running snow blower. Much like chainsaws and log splitters, these machines have highly rapid moving parts which could potentially pull you in and cause severe damage. Protect your hearing and always wear earplugs or other types of hearing protective items. This is especially accurate when operating gasoline-powered snow blowers, which will most likely be noisier than the 85dB threshold. A good investment that will protect from a harmful fall on snow or ice. Before the storm season actually comes, remember to remove any obstacles and debris which could damage the moving parts of the machine if neglected and caught under the snow. Power tools should not be handled while small children or pets are in the vicinity, and snow blowers are no exception. No matter how piercingly cold it gets outside, do not start a gasoline-powered engine indoors, even if just partially. Carbon monoxide is a silent killer and builds up incredibly fast under closed quarters. For corded-electric models, go the extra mile and buy an extension cord rated for freezing outdoor environments. If, for whichever reasons the auger gets clogged, turn off the engine immediately. Also, do not try to remove these obstacles with your bare hands, even when the engine is off. Augers and impellers endure tremendous pressure while working, so even in the off position, they could represent a safety hazard. If you need to refuel your snow blower, turn off the engine and wait for it to cool off. NEVER refuel a snow blower while it’s running since the engine could ignite it and, in some extreme cases, be enough to create an explosion. Brace yourselves, our ultimate and most comprehensive product review to date, is coming. We have covered everything you need to know about snow blowers – their history, power sources, mechanical builds, sizing/pricing information, and tips for maintenance and overall user safety. So, now it’s time to dive into the very core of our guide – a summarized, yet informational, product review for the best snow blowers available in the market. Ideal for moderate to heavy snowfall. Has a LED headlight for night snow clearing. Kicking off the gas category, we have the Briggs and Stratton 1696619. This snow blower is a two-stage build featuring 27 inches of width cleaning path along with 20 inches of snow removal height. With a 250cc engine packed with 11.5-foot-pounds of mechanical torque, this snow thrower is much easier to kickstart than other gas models, thanks to its electric start feature. Additionally, this model comes with a free hand control, which allows you to guide the machine with one hand while using the controllers with the other. Equipped with steel reversible skid shoes, the Briggs and Stratton 1696619 is easier to handle than most snow blowers, even under the densest snow. The 1150 Snow Series engine can start completely hassle-free even under -20 degrees Fahrenheit. Like all other B&S power tools, this snow thrower comes with a three-year standard warranty. Ergonomic design makes it easy to pilot this snow blower. This is one of the best all-around heavy-duty snow blower available. Very affordable. Note: The Husqvarna ST224P has Trigger Mounted Power Steering and the ST224 does not. One of the most underrated features of these snow blowers are the heated hand grips. Trust me, in the middle of winter when you’re outside in the freezing weather you will truly appreciate the comfort of heated hand grips. Sometimes it’s the little things that make a big difference. Thankfully, the designers of these models have carefully engineered a snow blower with the right balance of features, power and price and it’s evident when reading the glowing reviews and satisfaction level of customers. The Husqvarna ST224 is also a two-stage, gasoline-powered snow blower. This model comes with a 208cc engine equipped with an electric start, 24 inches of clearing path width, and twelve inches in snow removal height. The ST224P model is basically the same as the ST224, except it features power steering in the snow throwing. At approximately 200 pounds, this machine is still relatively easy to move around thanks to its 15-inch tires. The fuel tank capacity is 2.7 liters, and the grip is designed for an optimal user experience, with heated handles. 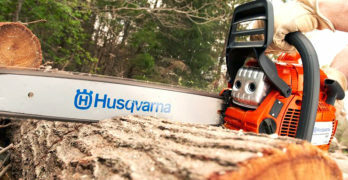 With its LED lights, you can operate this machine at night, and like all Husqvarna products, you can expect a 5-year standard warranty. All the controls are well-laid out and easy to access. Many great features make this model a great option to consider. 254cc Poulan PRO OHV Engine with 12.5-foot-pounds of torque. Friction disc transmission : 6 forward and 1 reverse speeds. Console mounted chute and deflector controls make it easy to shift the direction of the thrown snow. Two-stage snow blower. The ribbon augers smash through snow & ice moving it back to the impeller blade which pushes the snow out of the chute, far away from you. Capable of clearing large areas quickly thanks to its wide 30″ clearing size. Continuing with the two-stage models, we want to talk about a more powerful contender. The Poulan PRO PR300 presents a 254cc, overhead valve, 12.5-foot-pounds of mechanical torque engine. This snow blower comes with 24 inches in snow removal height and about 30 inches of clearing path width. With an auger diameter of 12 inches, the Poulan PRO PR300 comes with durable skid shoes, a 2.7-liter fuel tank, deep tread 16-inch tires, and is an ideal choice for both paved and graveled surfaces. Additionally, this product presents an electric start along with a remote chute and deflector control. Poulan offers a standard two-year warranty for the blower itself, although it also gives all customers a four-year warranty on the engine. Built to clear snow between 2″ to 12-inches. Your neighbors will be jealous. Solid construction and includes a chute cleaning tool when snow gets stuck. Similar to the ST224 and the ST224P, but much more powerful, the Husqvarna ST230P presents a 291cc, two-stage engine. With a clearing path width of 30 inches and a snow removal height of 12 inches (although it can definitely tackle larger piles of snow), this product also comes with power steering and an electric start for easy running. Slightly heavier than the 224P, it weighs approximately 270 pounds, but it’s also easily movable with its 16-inch tires. Arguably the leaders in comfortable user experience, Husqvarna offers LED lights for nighttime running, heated grip handles, 180-degree chute rotation, and a tough-to-beat 5-year standard customer warranty. Raw power — for Heavy, wet, deep or drifted snow. This machine can handle it. Touch ’n Turn Power Steering. Easy to maneuver. Just One Hand Operation (see video below). Heated Hand Grips to keep you comfortable in the cold. In-Dash Headlight for night visibility. All-wheel drive. Plow through snow with ease. Crank chute and remote pitch control. Heavy-duty 16″ serrated steel auger and impeller. Strong 13-gauge commercial steel frame. Dual 16″ x 6.5″ X-Trac snow tires. ✓ View or download the MANUAL for the Troy-Bilt Polar Blast 4510. The Troy-Bilt Polar Blast 4510 is a complete powerhouse in the two-stage category. Featuring a 420cc, four-cycle, overhead valve engine, this snow blower is equipped with over 45 inches of clearing width and more than 22 inches of snow removal height, an absolute beast which does the trick in no time. While this snow thrower does weigh much more than other products, handling it is still relatively easy and comfortable, with its 16-inch tires. The Troy-Bilt Polar Blast 4510 also features an electric start, as well as a single-hand operation – steer it with one hand, and control the chute with the other. Troy-Bilt offers all customers a standard two-year warranty. Learn more on the Troy-Bilt site. Includes 200 degree chute rotation and an in-dash headlight. Clears snowy walkways up to 26 inches wide and 21 inches deep in one pass. 243cc 4-cycle electric start OHV engine. Extended clog resistant polymer manual discharge chute. One Hand operation enables you to adjust the 200 degree chute direction without ever stopping. A slightly softer alternative for the Troy-Bilt Polar Blast 4510, the Troy-Bilt Storm 2625 is still a powerful contender in the two-stage category. It features a 243cc, four-cycle, overhead valve engine equipped with 26 inches of cleaning path width and roughly 21 inches in snow removal height. A much lighter option at only 240 pounds, you can easily drive it around with its 15-inch tires. This snow blower also presents the single-hand operation. Drive it with one hand, and operate the chute with the other – with a rotation of up to 200 degrees. Like all Troy-Bilt snow blowers, you will have a standard two-year warranty. Capable of throwing snow up to 40 feet. Impressive machine. Remote chute control crank. 200° rotation range. Another beast contender and similar to the Troy-Bilt Polar Blast 4510 we have the Remington RM3060. This product comes with a 357cc, four-cycle, overhead valve engine and a massive cleaning path of over 30 inches and about 21 inches of snow removal height capacity. A surprising feature about this product is that despite its impressive power and performance, it’s still very lightweight, at only 255 pounds. With an electric start and sturdy 16-inch tires, you can operate this machine at six different speeds in the forward direction and two in reverse flow. Remington offers a two-year warranty on all their products. When snow sees this thing coming it will practically melt. Engineered to clear up to 18 inches of snowfall. Durable steel chute to handle the tough winters. Can clear snow up to 18 inches deep. Heated hand grips keep your hands toasty warm when clearing snow. 5-year limited warranty on transmission gear case. Adjustable polymer skid shoes help protect surfaces from scuffing. Powerful enough to discharge snow up to 20-feet. 180-degree directional chute allows you to discharge snow in any direction. Adjustable handle for ease of use. Electric snow thrower does not release carbon emissions for an environment friendly tool. 6″ wheels with a 20 ft. discharge distance. Cord lock conveniently holds extension cord securely in place. 20″ clearing path for efficient snow removal. Starting with the corded-electric snow blowers, we give you the GreenWorks 2600502. This product features a 13A electric engine, 20 inches of cleaning path width and up to 10 inches of snow removal height, with a total throwing distance of roughly 20 feet thanks to its adjustable chute control which can rotate up to 180 degrees. Affordable electric snow blower for light-duty snow clearing. Surprisingly light at just over thirty pounds, the GreenWorks 2600502 comes with a standard four-year warranty. Like all corded-electric models, make sure to buy an appropriate cold-weather extension cord, preferably a 100-feet, 14/3 gauge one. Durable, 4-blade rotor, constructed of heavy-grade steel. Great quick snow pickups on mid-sized driveways and walkways. 13.5-amp motor moves up to 650 lbs of snow every minute. 4-blade steel auger cuts 18 in. wide by 10 in. deep in a single pass. 20 W halogen light for nighttime snow clearing. 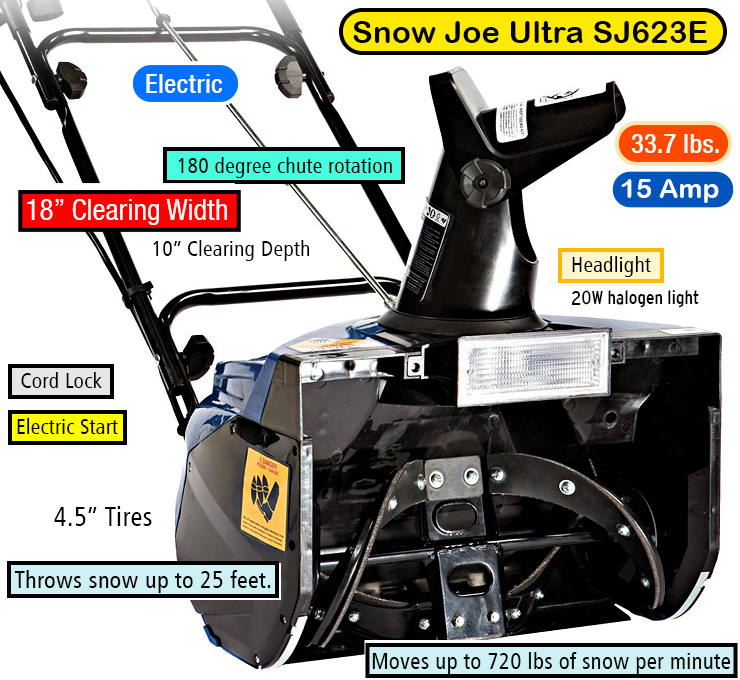 The Snow Joe Ultra SJ621 comes with a 13.5A electric engine which can deliver a cleaning path width of up to 18 inches, able to pick up snow piles of up to 10 inches in height – which is approximately 650 pounds of snow per minute, or an impressive amount of 2,450-square-feet of snow per hour. Amongst its many features, this snow blower comes with a 20W halogen light for safe handling during nighttime, 180-degree rotatable chute, instant electric start, and an ergonomic grip designed for an enhanced user experience. All Snow Joe products come with a standard two-year warranty. Clears a snow pat 21 inches wide by 12 inches deep in one pass. No gas, oil or tune-ups. Easy to maintain. Clearing snow size: 21″ wide and 12″ deep. Similar to the SJ621, the Snow Joe Ultra SJ625E is a slightly more powerful choice. With a 15A electric engine, this snow blower can handle up to 21 inches of cleaning path width and approximately 12 inches of snow pile height – somewhere in the neighborhood of 800 pounds of snow per minute. This model also comes with a 3W LED light for the nocturnal operator, can throw snow at a 20-feet distance with its rotatable 180-degree chute, and weighs only 35 pounds. Also, comes with a two-year consumer warranty. Can throw up to 730 pounds of snow per minute. The Snow Joe Ultra SJ624E differs from the SJ625E in just a couple of features. A slightly smaller engine of 14A offers a total snow removal of 770 pounds per minute. Also, the cleaning path is set at 21″ with about 11.8″ deep of snow removal height capacity. And, this model DOES NOT have a headlight. ✓ View or download the MANUAL for the Snow Ultra SJ624E. 4-blade steel auger cuts 18 in. wide by 10 in. deep with each pass. Great for mid-to-large sized driveways and walkways. 15-amp motor moves up to 720 lbs of snow per minute. 4-blade steel auger. Clears snow 18″ wide by 10″ deep. 180° adjustable directional chute. Can throw snow up to 25 feet. Includes a chute clean-out tool. ✓ View or download the MANUAL for the Snow Joe Ultra SJ623E. In case you’re looking for a more compact and modest snow blower, then the Snow Joe Ultra SJ623E is the right fit for you. In concept, this product is also very similar to the SJ625E and the SJ624E. Featuring a 15A electric engine, the SJ623E can work with snow piles of 18 inches in width and about 10 inches in height, while throwing it at a distance of 25 feet – talking about volume, this translates into about 720 pounds of snow per minute. Like all Snow Joe products, this blower is prepared for nighttime operation with a 20W halogen light, comes with a convenient instant start, and also a two-year consumer warranty. Impressive 2-stage 80V battery snow blower. Direct the snow stream, up to 32 feet away! Integrated headlights for night clearing. Revolutionary battery-powered 80V two-stage snow blower. 80V Max (2 x 40V/5.0 Ah) EcoSharp rechargeable lithium-ion batteries provide up to 40 minutes of operation time. Cuts a path 24″ wide by 13″ deep without damaging surfaces. Dual 0.3 W LED headlights keeps your path lit at night. 2500W brushless motor increases battery efficiency, maximizes motor performance, decreases noise and vibration and extends motor life. TracAssist snow tires can handle all weather conditions. Load sensing technology adjusts output to your snow clearing demands. ✓ View or download the MANUAL for the Snow Joe iON24SB-XR. ✓ View or download the MANUAL for the Snow Joe iON24SB-XRP. A brand-new 2016 announcement, the Snow Joe iON24SB-XR 80V MAX will be released on October 1st, 2016. Featuring a revolutionary concept for cordless blowers, this model will come with a two-stage, 2500W brushless engine, capable of handling up to 24 inches of cleaning width and about 13 inches of snow pile height – with a total volume of roughly 1,000 pounds per minute. For a battery-powered model, the Snow Joe iON24SB-XR 80V MAX lasts longer than others, thanks to its dual 40V, Eco Sharp, rechargeable Lithium-Ion batteries – close to forty minutes of quiet operation. Equipped for nighttime operation and four different speeds (three in the forward direction, and one in reverse), this snow thrower also presents a standard two-year consumer warranty. You can also get the Snow Joe iON24SB-XRP, which comes with a longer-lasting (6.0 Ah) battery. This translates to a running time of 50 minutes, which is 10 minutes faster than the iON24SB-XR. Our first single-stage, cordless-build, snow blower in the guide. The Snow Joe iON18SB comes with one 40V, Eco Sharp, rechargeable Lithium-Ion battery, which offers up to 50 minutes of running time. This machine can handle snow piles up to 18 inches in width and 8 inches in height, somewhere in the range of 500 pounds of snow per minute. The 40V battery is interchangeable with other Snow Joe products from the same power range. This blower is prepared to be operated at night with LED lights and comes with a 500W brushless engine. It can throw snow at a 20-feet distance thanks to its auto-rotating chute which can reach up to 180 degrees in maneuverability. Also, comes with a two-year warranty. Wider at 21-inches. A good choice for larger areas for snow clearing. The Snow Joe iON21SB-PRO is a reasonably similar choice compared to the Snow Joe iON18SB, with a couple of minor differences. First of all, it offers a larger snow clearing width of 21 inches, which translates into a greater volume of displaced snow – about 660 pounds per minute. Secondly, the battery’s amperage is also larger at 5.0A compared to the 4.0A in the previous versions, which gives you a longer running time per full charge – in this case, about 65 minutes. On all other features, both models are exactly the same with the same capabilities, and the same standard warranty. Because it’s battery-powered it’s quiet and low maintenance. Powered by the GreenWorks 80V Li-Ion System. Can operate up to 45 minutes with a fully charged 2.0AH Battery. DigiPro digital controlled brushless motor. Higher torque and more efficient. Clears now up to 10-inches deep. 7-inch wheels make it easy to maneuver. Rapid Charge of 30 minutes for 80V 2AH battery. Last, but definitely not least, let’s discuss the GreenWorks Pro 80V. Featuring a reliable brushless electric engine, which can remove snow piles of up to 20 inches in width and roughly 10 inches in height, this snow blower comes with an 80V, rechargeable, Lithium-Ion battery, which runs for up to 45 minutes – fully recharged in 30 minutes. Additionally, the GreenWorks Pro 80V is as light as it can get, weighing only 33 pounds. Much like all other battery-powered snow blowers, you won’t need to use any kind of hearing protective equipment. GreenWorks offers a four-year standard product warranty, with a two-year limited warranty for the batteries and chargers. Learn more on the GreenWorks 80V Snow Blower in our in-depth article dedicated to this model.